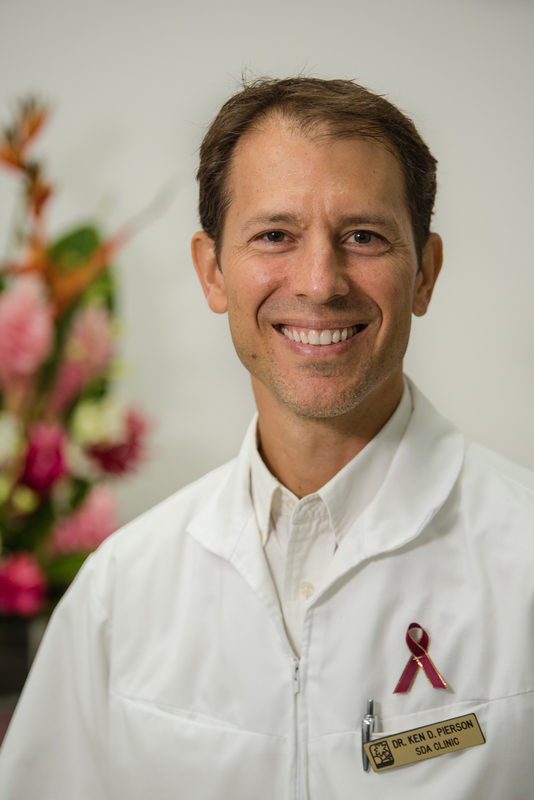 Dr. Ken D. Pierson graduated from Loma Linda University School of Dentistry, Class of 2000. He holds a Doctor of Dental Surgery degree and has additional certification in Oral Conscious Sedation and Pediatric Advanced Life Support. While in dental school, he was involved in local and over-seas outreach as well as student body leadership. After graduating, he joined a group practice and in addition became an Associate Professor at the Loma Linda University School of Dentistry. After his wife, Dr. Crystal Edmister, graduated from dentistry in 2005, they decided to serve as dental missionaries at the Saipan Seventh-day Adventist Clinic. Dr. Pierson became the Clinic Director in 2005 and has been serving the community of the CNMI since then. Dr. Pierson enjoys all aspects of dentistry and is proficient in oral surgery, endodontics, prosthodontics and pediatric dentistry. Dr. Pierson enjoys providing excellent dental care that is tailored to the needs of each of his patients. “I love helping people achieve a better life and overall well-being through a healthier smile” says Dr. Pierson. Dr. Pierson feels blessed to serve his community through his work at the Saipan Seventh-day Adventist Clinic. Outside of dentistry Dr. Pierson enjoys community service and promoting health and wellness. He also enjoys crossfit, scuba diving and biking, but most of his free time is spent with his wife and their four beautiful daughters.